MF Doom: Please heed the call from our Palestinian colleages to boycott Israeli cultural institutions and cancel your upcoming performance. Many hip-hop artists have been outspoken regarding the struggle for Palestinian human rights. We hope you can strengthen alliances with these and others in the growing international movement against Israeli apartheid. AAA Member Sabina England presents her appeal to Jello Biafra, as his band has booked a show in apartheid Israel for July 2nd. 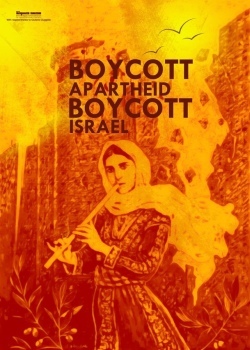 Joining PACBI and Punks Against Apartheid in this campaign, AAA has also sent an unpublished appeal to the Green Party member regarding the Palestinian call for cultural boycott. As artists and activists, we have long respected your work and commitment to freedom, justice and equality. Thus, we were surprised to learn that you are scheduled to appear in the Arava Institute’s “With Earth and Each Other” program. Massive Attack bandmember Robert Del Naja discusses why their band is boycotting Israel as a tour destination.